Over the years, the team at CDS has delivered industry-leading services to properties of all kinds. Thanks to our industry-leading technology, we can identify almost any drainage issue in just a short period of time. Our CCTV drain surveys in Hornchurch have been used to protect domestic, commercial and industrial properties. We’re able to provide comprehensive drainage surveys, including home buyer’s surveys, to help you avoid nasty surprises. 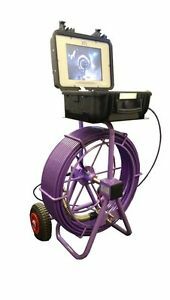 Our team have many years of experience and use the latest and best in CCTV drain survey technology. Thanks to our easily-manoeuvrable cameras, we can quickly and easily diagnose any issues you might encounter. The sooner your drainage issues can be identified, the sooner our experienced team can carry out drain relining and essential drain repairs for Hornchurch properties. How Do Drain Surveys in Hornchurch Work? Wear and Tear on the Drainage Lining. Cracks, Fractures and Loose Connections. All our CCTV cameras stream a live feed back to our engineer above ground. These high-quality images make it easy for our experts to identify a wide range of problems. We’re able to identify existing problems and any developing issues. As part of complete service, we will also provide a detailed survey, including a recording of the exploration, which you can view yourself or get a second opinion on. If we identify serious issues, including blocked drains or damaged drains, we will often recommend drain unblocking, relining or drain replacement. 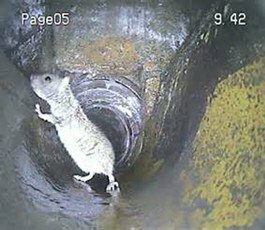 How Long Do Hornchurch CCTV Drain Surveys Take? In most cases, a domestic CCTV drain survey can be completed in as little as an hour. However, it is possible for them to take longer on larger systems or more complex drainage solutions. The number of problems that our team identify can also cause the drainage survey to last significantly longer. 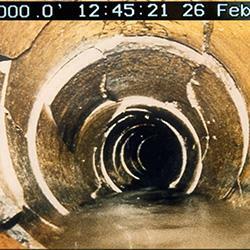 A blockage or collapsed drain can seriously impede a survey, or even prevent the survey from being completed. How Much Does a Drain Survey in Hornchurch Cost? The overall cost of the drainage survey will often depend on the size of your home or business. For domestic properties, our engineers will normally charge by bedroom. The number of bedrooms is often a great indicator as to how large and complex a property’s drainage system is. As part of our commitment to delivering the very best service, we are always upfront about the cost of your property’s CCTV drain survey. For more information on the cost of our domestic CCTV drain survey, get in touch today. Our experienced drainage engineers aren’t just able to provide reliable domestic drain surveys; we can also deliver specialist commercial and industrial drain surveys. These services are usually based on the square footage of your property. The larger your commercial or industrial space, the more complicated and difficult to survey your system is likely to be. This is true of those properties connected to the mains sewer lines, in addition to businesses relying on septic tanks and alternative waste solutions. One of our most important services is identifying issues before a property is bought or sold. When you buy a new property, it is all too easy to get caught up in the excitement. However, the last thing you want to discover is potentially harmful and costly drainage issues in your new home or business. Thanks to our team’s experience, we can help you to identify any potential problems before you purchase your property. Many home owners don’t care for their drains as they should. It is all to easy to damage even the hardest-wearing drainage solution. Over the years, certain types of waste, including FOGs (Fats, Oils and Greases) can cause serious damage to drainage systems. Thanks to home buyer’s drain surveys in Hornchurch, you’ll be able to thoroughly investigate the condition of these drainage system. In some cases, banks and mortgage companies can be reluctant to invest in any property with damaged drainage systems. CCTV Drain Surveys & Home Buyer’s Surveys. Septic Tank Cleaning & Maintenance. For more information on the diverse, experienced services that we can provide, get in touch today. You can reach our experts directly by calling us on 0800 234 3624. Alternatively, you can email any questions or concerns you might have to info@certified-drain-services.co.uk and we’ll get back to you as soon as possible.